If you decide to declare property for farm use, one of the first decisions you need to make is what type of farm you want to become. When you make that determination of agricultural use, then contact your local zoning department (the town hall is a great place to start) to determine if you are zoned for agricultural use. Obtain zoning information. A quick call to your local town hall should provide you with your zoning information. Most municipalities now have their zoning information online at their websites. You should check with your local officials first to determine if you can declare your property as a working farm. Determine what you want to farm. If you decide to farm vegetables to sell at the local farm markets or house livestock, there are a few things to consider. You can visit the Internal Revenue Service (IRS) for additional information regarding farmland and agricultural land use. If you are going to raise cattle, pigs or other animals and sell the meat, then you must first pass the U.S. Department of Agriculture (USDA) guidelines. Contact your local Cooperative Extension Service. These entities are divisions of the National Institute of Food and Agriculture (NIFA), which is an agency within the USDA. There are Cooperative Extension Services located within every state and territory in America; each one is linked to a land-grant university that supports it for both educational or research purposes. (For instance, the Monroe County service in Pennsylvania is linked to Penn State University). 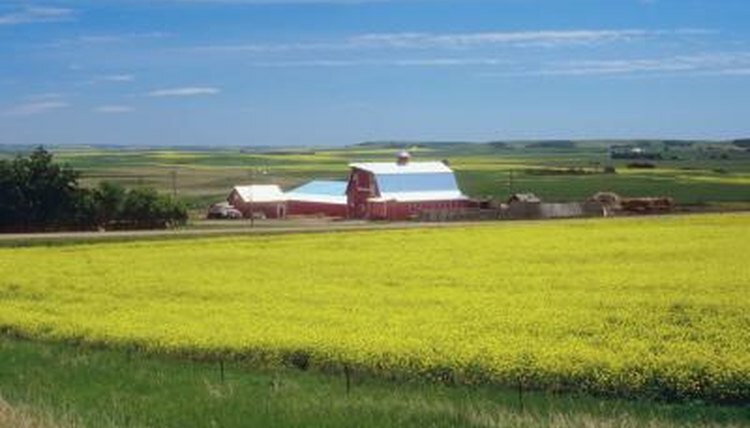 The Cooperative Extension Service can provide a wealth of information and assistance once you decide to declare your land for farming purposes. Educate yourself. Farming, like any other endeavor, requires knowledge to succeed. There is a huge difference in growing a vegetable garden for your personal use and becoming an agricultural entity. The Cornell University offers a beginning farmer course online at: http://www.smallfarms.cornell.edu. Starkey, Michele. "How to Declare Property for Farm Use." , https://legalbeagle.com/5951486-declare-property-farm-use.html. Accessed 22 April 2019. What Is Property Tax Relief?